Are you looking for a simple solution to move your blog content from Medium to WordPress? Medium is a popular blogging platform used by millions of bloggers for their personal and professional blogs. However, when you need more features and customization, you’ll start looking for a better platform. And then along comes WordPress with unlimited custom options and easy-to-use interface. In this article, we’ll show you how to properly move your blog from Medium to WordPress. Why You Should Move Your Blog Content from Medium to WordPress? WordPress is used by over 32% of the blogs and websites in the world. That means every 3rd website is built on WordPress. Many top brands use WordPress for their blogs and websites including banks, real estate, small businesses, educational institutes, and others. In comparison to Medium, WordPress is more powerful and offers amazing features. You can use WordPress to get more traffic on your blog. It comes with thousands of plugins and themes to customize your blog as you need. There’re 2 types of WordPress websites which may confuse beginners. You’ll find WordPress.com, which is a hosted platform; and WordPress.org, which is a self-hosted solution. You can read our side-by-side comparison between WordPress.com vs WordPress.org for more information. For this guide, we’ll be using self-hosted WordPress.org as it’s easy to use and offers endless possibilities. You can also create a website with WordPress and make money online. Ready to move your blog from Medium to WordPress? Let’s go step-by-step with screenshots on how to properly move from Medium to WordPress without losing any content or images. First you’ll need to set up WordPress. For that, you’ll need to purchase a domain name and web hosting. A domain name is your business name or URL (like mywebsite.com) that people will use to find you on the internet. However, web hosting will be linked to your domain name and it’s where your files will be saved. You can also check out our guide on the difference between domain name and web hosting. We recommend using Bluehost. It’s the most popular web hosting and domain name seller. Bluehost is also officially recommended by WordPress’ core. You should read out Bluehost review to learn more about them. 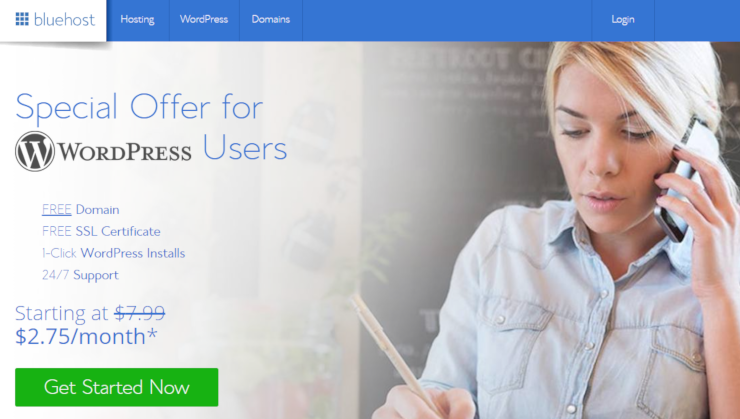 For IsItWP users, they’re offering a free domain name, free SSL certificate, and a 60% discount on web hosting. 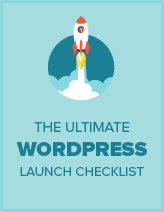 It’s a great deal to get you started with WordPress. If you’re looking for more options to host your website or blog, then check out our expert picks of the best WordPress hosting providers in the world. After purchasing your domain name and web hosting, you can install WordPress. Normally, you’ll find a 1-click WordPress installation option in your hosting panel. If you’re not sure where to look for it, then contact the customer support of your hosting provider and they’ll guide you. You can also check out our complete guide on how to install WordPress. Once installed, you can start moving your blog from Medium to WordPress. To export your data from Medium, you’ll need to use the Medium to WordPress Importer tool. It’s a simple, free tool that enables you to export your data from Medium in a format supported by WordPress. Visit the Medium to WordPress Importer tool’s site. You’ll need to type your Medium URL, your name, and your email address. If you’re using a custom domain name for your Medium blog like ‘mypersonalblog.com’ or ‘example.personalblog.com’, then you can type that domain name in the URL field. When you enter your Medium URL, it’ll also ask you to upload a Medium export file before you enter your name and email address. You can download the Medium export file from your Medium dashboard. Simply log into your Medium account. Now, go to Settings from the profile icon at the top right corner after logging in. From there, you’ll need to go to the Download Your Information section and hit the ‘Download Zip’ button to get your Medium Export File. It’ll take you to the export page. You can click on the ‘Export’ button and a link will be sent to your email address. Simply go to the download link and you’ll get your Medium Export File. Note: This export file is not compatible with WordPress. You’ll need to process it with the Medium to WordPress Importer tool to import your Medium blog to WordPress. Now, go back to the Medium to WordPress Importer tool and you can upload the file that you downloaded from Medium. You can click on the ‘Export My Medium Website’ button and your Medium Export File will be ready to export. Once ready, you’ll see a success message and you can click on the ‘Download Your Medium Export File’ button. Next, you can go ahead and easily import your Medium blog posts to WordPress using this file. 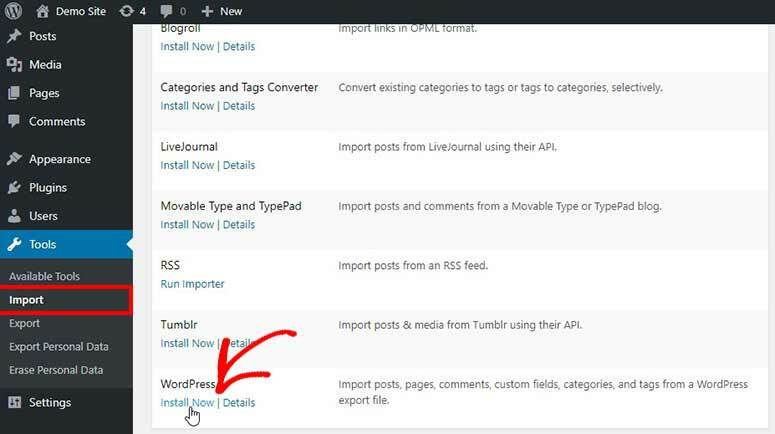 To import the Medium blog posts in WordPress, you can go to Tools » Import from your WordPress admin area. It has multiple options for importing external content to WordPress. You’ll need the WordPress importer to import Medium content. Click on the ‘Install Now’ option below the WordPress importer tool. It’ll install the WordPress importer on your admin backend and still keep you on the same page. After that, you can click on the ‘Run Importer’ link to continue. On the next page, you’ll need to click on the ‘Choose File’ button and select the Medium Export File that you downlaoded in the previous step. Note: The export file should be in the .xml format to import it easily in WordPress. Next, click on the ‘Upload file and import’ button. You’ll be asked for basic information like selecting authors for the blog posts that you’ll be importing in WordPress. You’ll have plenty of options like importing authors from Medium, creating a new author for the articles, or selecting an author from your WordPress website to assign to the articles. Note: You can change the authors later, so select any option to continue. Make sure that you check the ‘Download and import file attachments’ option as that’ll help in getting your media files from Medium to WordPress. Once you’re ready, click on the ‘Submit’ button and the process will begin. It’ll take a few minutes depending on the size of the content you’re importing from Medium to WordPress. After importing, it’ll display a success message and advice for the next steps. That’s it. You can go to the ‘Posts’ section in WordPress to see the imported articles. Though it should import all your posts from Medium to WordPress but, if anything was left behind, then you can go back and run the importer again. It’ll only import the remaining blog posts and nothing will be duplicated. Like the content, if you find out that the WordPress importer failed to import some of the images from your Medium blog, then you can always import them again. Note: You can check the images from Media » Library in WordPress. To fix this issue, you can install the Auto Upload Images plugin in WordPress. Check out our article on how to install a WordPress plugin for assistance. Once activated, you can go ahead and update the posts one-by-one that failed to import the images. The plugin will get the images from Medium and update them in WordPress. The plugin also allows you to update all your WordPress articles in 1 click, so you don’t need to manually edit and update the posts. 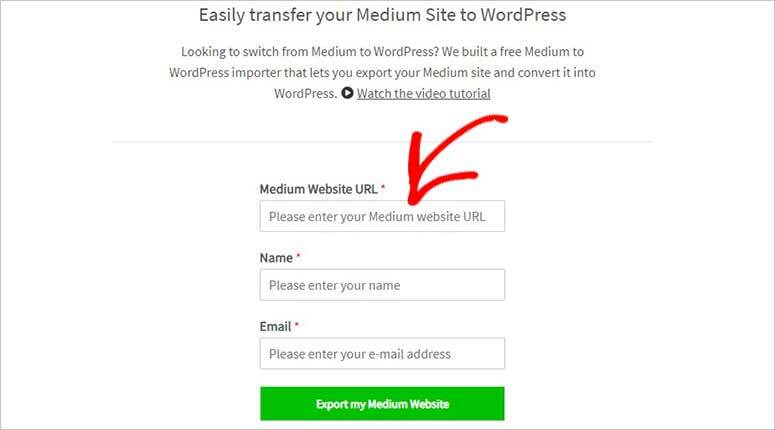 When using a medium.com URL for your Medium content, you’ll not be able to add redirects in WordPress. However, if you had a custom domain name, then it’s easy to create redirects for your Medium articles in WordPress. Simply follow this complete guide on how to set up redirects in WordPress. The best thing about WordPress is that it has amazing features to customize your blog content. When you install WordPress, it comes with a few default themes you can use for your blog. These are our recommendations but you may find many other themes online. Once you’ve selected a theme for your blog, go ahead and install the WordPress theme. Since we’ve already told you about WordPress at the beginning of this article, you probably have a good idea of how easily you can customize your blog to get more readers. WordPress plugins help add more features to your blog. You’ll find thousands of WordPress plugins on the internet. Plugins are divided into categories like eCommerce, education, personal, online portfolio, and a lot more. WordPress.org itself has over 55,000 free plugins. Yes, you read that right! However, it may not be easy for beginners to know which plugins are best for them. That’s why we’ve written down the important WordPress plugins you’ll need right off the bat. WPForms Lite: It’s free and the best WordPress contact form plugin in the industry. You can install it on your blog to add a simple contact form. If you want to customize the contact form later, then you upgrade to the WPForms premium plugin. Yoast SEO: It’s the best WordPress SEO plugin. You can use Yoast SEO to optimize your blog for search engines. It enables you to get more traffic online. MonsterInsights Lite: Once you start getting traffic, it’s necessary to keep track of it. MonsterInsights Lite is the best Google Analytics plugin and shows stats of the people visiting your WordPress blog. If you want to see more detailed stats, then you can upgrade to the MonsterInsights premium version. After that, we recommend you check out our full list of must have WordPress plugins for even more features and functionalities. If you’re thinking of switching domains, then check out this guide on how to properly move WordPress to a new domain name. That’s all. We hope this guide helped you learn how to move your blog from Medium to WordPress. If you liked this article, then you may also want to check out our guide on moving a blog from Blogger to WordPress.